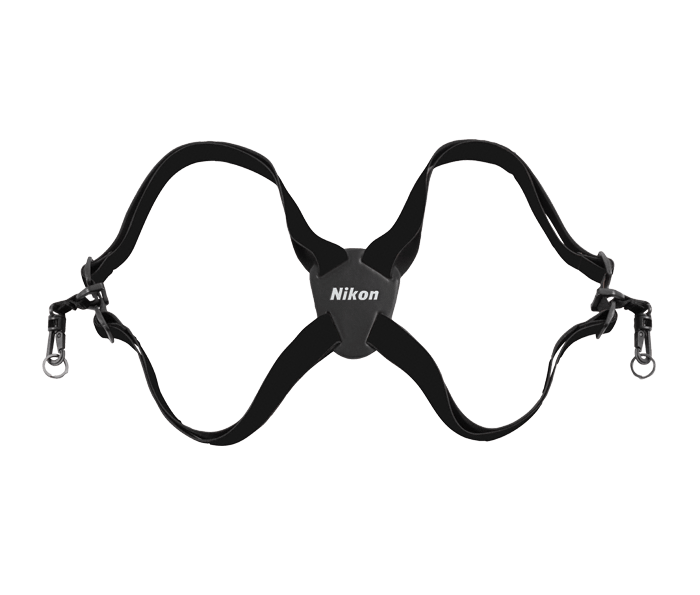 Nikon ProStaff Bino Harness is a lightweight, convenient harness that takes the weight of your binoculars off your neck and distributes it evenly across your shoulders. Elastic shoulder straps: With a secure, quick release connection designed to move smoothly and easily up and down the straps for quick access. Self centering back piece: Featuring the Nikon ProStaff logo.